Ashley Le, a junior and Vietnamese immigrant from California, said her campaign for SA president mainly focuses on strengthening the community on campus. The Student Association’s vice president for public affairs announced her candidacy for the SA’s top spot Thursday. Ashley Le, a junior and Vietnamese immigrant from California, said her campaign mainly focuses on strengthening the community on campus. 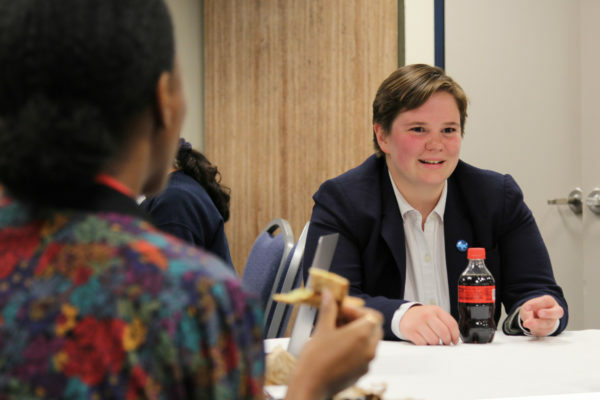 Her platform highlights eight main points – ranging from creating new community service opportunities to improving student health services – which she said came out of her personal experiences at GW and conversations with other student leaders. “This is my shot and I want to take the shot for me, but also for the students and the communities that I come from and the communities I want to represent,” Le said. Le said she hopes to allow students to take up to 18 course credits without paying extra fees – an initiative last year’s SA candidates also proposed. Students now have to pay roughly $1,500 extra to take 18 credits per semester, according to the financial aid office. But she said her main academic goal is to expand freshman orientation by implementing a mandatory, semester-long one- to two-credit class about the first-year experience for all freshmen. She said the class would include information about navigating the District, the resources available to student organizations, managing a budget and caring for mental health. Le said students aren’t fully integrated to campus after they complete an online orientation and come to Colonial Inauguration for a few days over the summer. She said students should have a mandatory extended introductory to the resources available to them at the University. She said the class would also incorporate mandatory diversity and inclusion training – an initiative students overwhelmingly supported after a racist Snapchat rocked campus last month. Officials said mandatory diversity training will be implemented beginning next academic year, officials announced last month. “In order for our new students to be able to be supported, to be connected, to be engaged, orientation has to be something that lasts beyond just the summer, that lasts just beyond the beginning of their GW career,” Le said. After racist incidents at American University last year, officials created a course for all first-years to take starting this fall. The full-year course discusses topics like campus resources, health and wellness, and race and social identity, according to the University’s website. Currently, all GW freshmen are required to take a University Writing course but don’t take a class specifically about adjusting to college life. While she hasn’t yet talked to administrators about the class, Le said she will in the near future and has discussed the idea with SA President Peak Sen Chua. She said she also wants to create a diversity council, which would include leaders in the Multicultural Student Services Center, the Office of Diversity and Inclusion and student organizations across campus, including multicultural student groups and the Greek, veteran and athletic communities. The council would discuss different types of diversity issues on campus and consider long-term solutions for the University’s most pressing problems, she said. Le said the idea has come up several times since the racist Snapchat incident and administrators, like Michael Tapscott, the director of the MSSC, were receptive to the council. “If I didn’t have diversity and inclusion on campus on my platform, I would be ignoring the most alarming, urgent problem on this campus,” Le said. Le’s platform also includes a focus on community service initiatives, which she said has been a personal priority since she immigrated to the United States when she was 13. 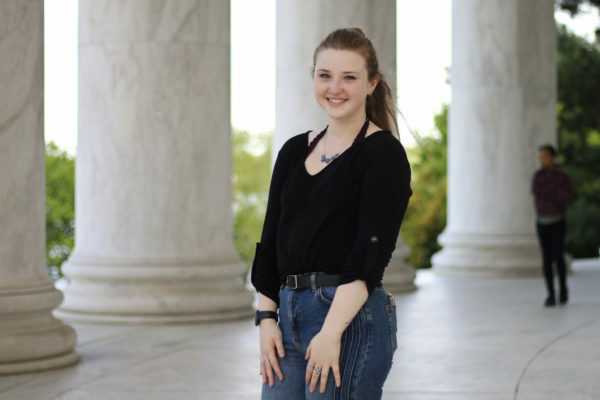 She said she wants to expand the Freshman Day of Service – a yearly event where freshmen perform work at sites across D.C. early in the fall semester – and implement regular service activities that members of the SA and the student community can participate in. The SA hosts several community service initiatives over the course of the year, including a Thanksgiving dinner at St. Mary’s Court, a winter clothing drive and a Foggy Bottom cleanup. Le said she will open these activities to the wider campus community. She said she also plans to expand mental health resources on campus by expanding GW Listens, an anonymous peer support hotline that launched last year. 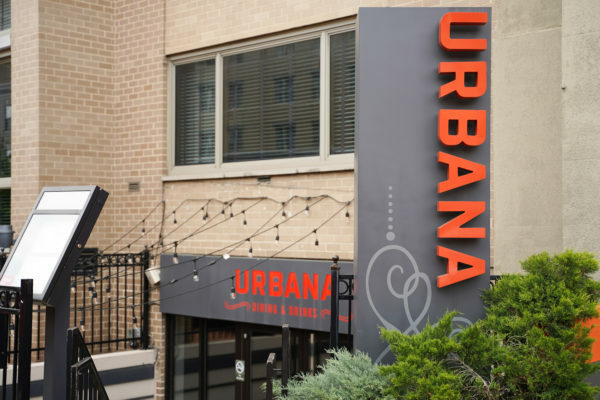 She hopes to expand the hotline’s hours beyond 9 p.m. to 1 a.m., since many events that could require a student to seek mental health services don’t happen between those hours. She also aims to expand the Student Health Advisory Council, which officially began meeting earlier this academic year, to more members of the student body. The council is comprised of several members of the SA and student health advocates, who meet with Colonial Health Center administrators to discuss topics like the cost of student healthcare and the quality of student health services. 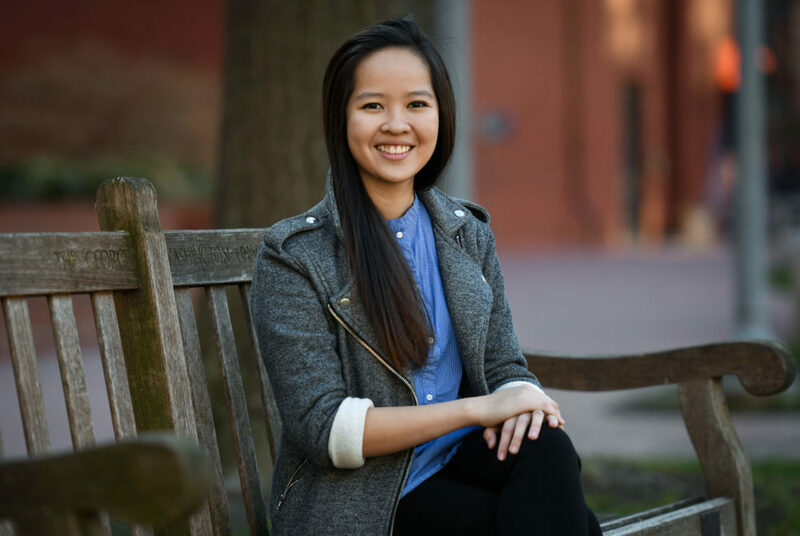 Le, who is a former Hatchet photographer and also worked on Chua’s campaign last year, said her experiences in student government and connections with administrators make her uniquely qualified for the role. “I want the Student Association to be more than just a governing body, but a space where students are welcome to come to – as a space where students are not afraid to approach, a space for students to get involved because they believe in themselves and because they believe in each other,” she said. Katie Abughazaleh, Grace Christensen, Olivia Dupree, Ryan Meneses and Lindsay Paulen contributed reporting. This article appeared in the March 1, 2018 issue of the Hatchet.